procedures apply to each of the 4" x 5" filmholders. Loading 4" x 5" filmholder. (1) Pull out the slide and partially reinsert it in the filmholder. Make sure that the bright side of the slide (notches) faces out. that the emulsion (dull) side will face up. 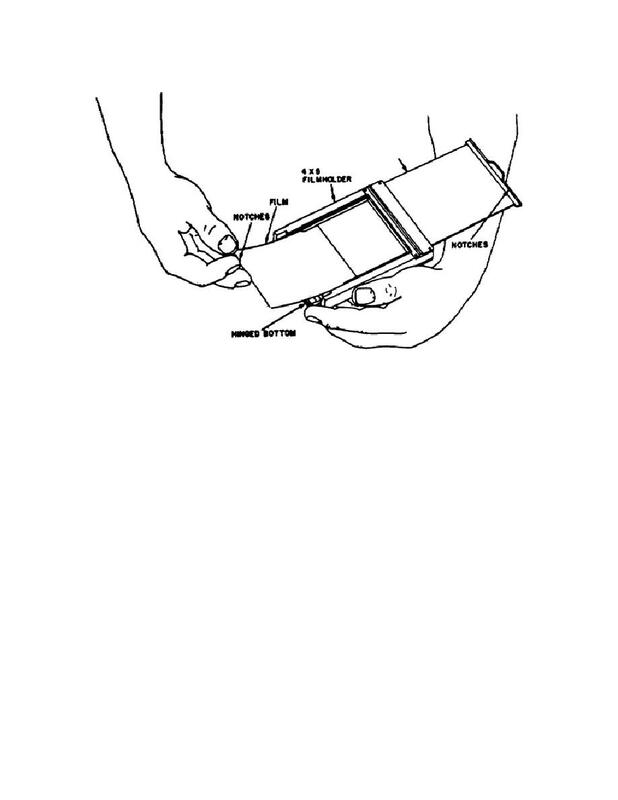 filmholder, until it is fully inserted. Close the hinged bottom. (5) Lift the locking screw (not shown) to hold the slide in position. the procedures in (1) through (5) above.